Sudath worked as a driver in Doha, Qatar, for nine years, at a monthly salary of LKR 45,000 (US$266.3). Living far away from his hometown, the Sri Lankan man was very hard up. Now, he has a job with the Southern Expressway Extension Project in Sri Lanka and earns LKR 55,000 a month. 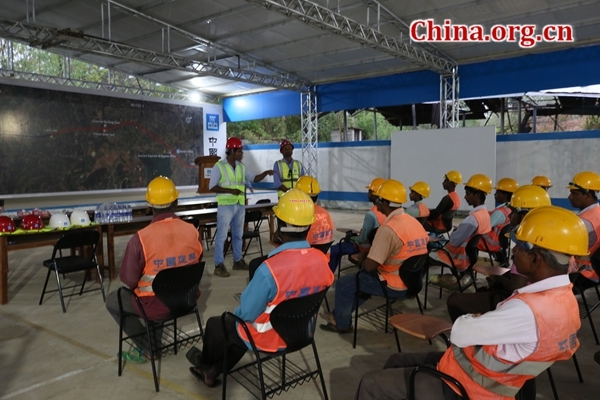 Excited about the job keeping him close to his family, as well as the higher income, the 40-year-old man was quite grateful for the project, jointly built by China and Sri Lanka under the framework of the Belt and Road Initiative. 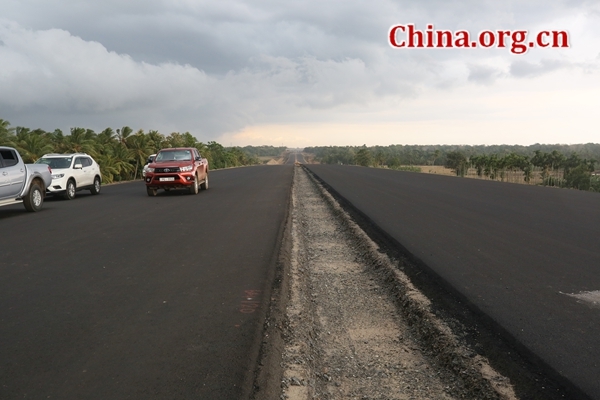 The 96-km extension from Matara to Hambantota consists of four main sections, namely, Section 1 of 30 km from Matara to Belliatta; Section 2 of 26 km from Beliatta to Wetiya; Section 3 of 15 km from Wetiya to Andarawewa, and Section 4 of 25 km from Hambantota to Mattala via Andarawewa. All four sections are being built by Chinese companies, with China State Construction Engineering Corporation (CSCEC), a global top 500 enterprise, responsible for section 2 and 3. The latter is scheduled to be opened to the public this December, and the former in October 2019, according to Jia Ruihua, deputy general manager of the CSCEC Sri Lanka Branch. 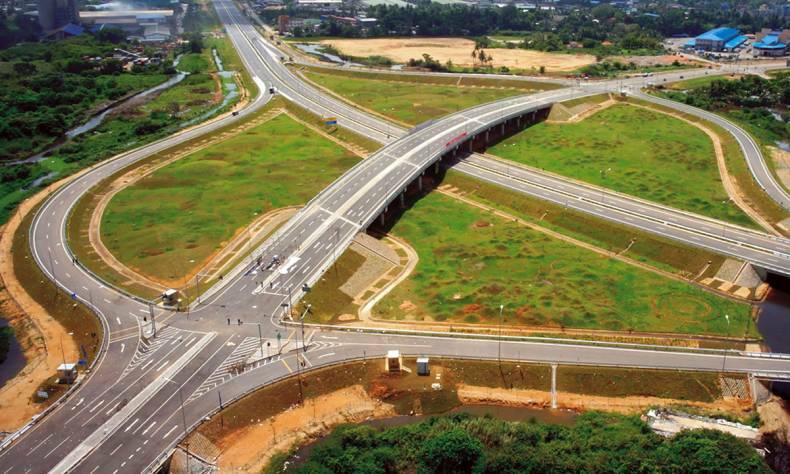 It is the common pursuit of Chinese and Sri Lankan constructers here to build the expressway extension into a new benchmark of friendship between the two countries, Jia said. CSCEC has set up a management team of 60 Chinese and 30 Sri Lankans, and has employed more than 1,100 Sri Lankan workers and 70 Chinese. It has provided a great many job opportunities for local villagers, hence directly increasing their income and effectively improving their living standards. In order to improve the skills of local employees, the company even established the first Safety & Vocational Skills Training Center in Sri Lanka and compiled training materials both in English and Sinhala. Covering an area of about 2,000 square meters, the training center comprises 12 safety experience areas and six vocational training and assessment areas. Technical workers who pass the final exam will be issued with a certificate, ranked at different levels, according to Zhang Ximin, assistant general manager of the CSCEC Sri Lanka Branch. “That not only brings a salary increase, but improves their skills and competitiveness, and most importantly, helps cultivate professionals for future use in Sri Lanka,” Zhang said. Nalin Manawadu has worked here as a project coordinator for more than two years, largely responsible for communication and coordination among local government departments, villagers and the company. 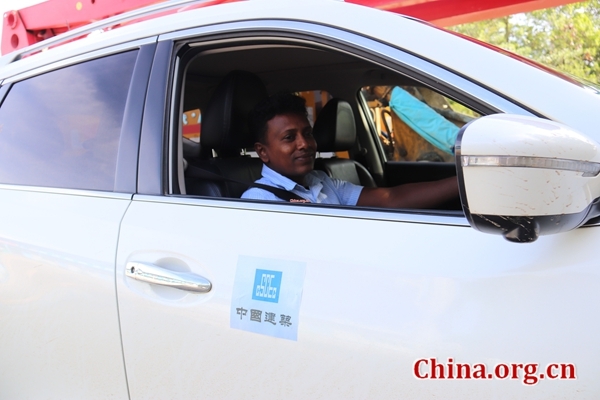 During an interview in Hambantota, he expressed his gratitude for the Chinese government and praised his Chinese colleagues for listening to the opinions of local villagers and sharing their knowledge and technology. “At the beginning, I had to explain to the people the Belt and Road Initiative. Later, they realized the ongoing project here brought job opportunities and they would enjoy more convenient transportation in the future. Now they are very happy,” Manawadu said. He was quite proud of attending a training organized by the China Academy for International Business Officials in 2017, saying the rapid development of China left a deep impression on his mind. For the past two and a half years, CSCEC has smoothly carried out the project while putting environmental protection and harmonious development first. According to Li Peng, project manager for Section 3, the company has collaborated with the Sri Lankan National Building Research Organization and Geological Survey and Mines Bureau to monitor the air, water, noise, vibration and other environmental factors along the route and conduct surveys for possible cracks in houses located within 75 meters from the construction work. In order to reduce dust during the work, the company allocated two sprinklers for each kilometer along the project and set up 150 dust barriers for local residents. “Hambantota has a dry climate with little rainfall. In order to solve the problem of farmland irrigation, we have dug more than 90 deep wells for villagers,” Li added. All these activities have been highly appraised by local authorities and organizations. 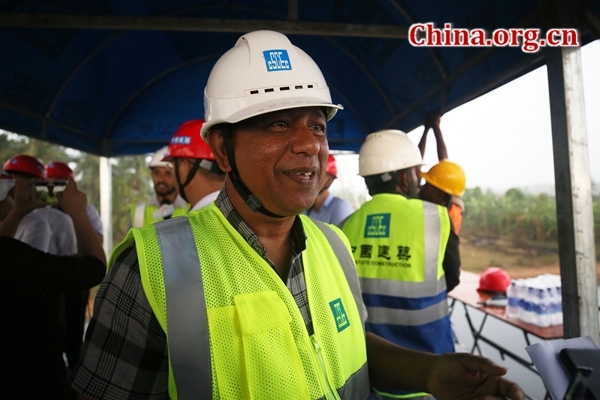 Kandambi, project director of the Road Development Authority of Sri Lanka, spoke highly of the company’s performance in safety, environment and quality terms, saying it shows a good image of Chinese enterprises at abroad.